A trip for two to Paris in April 2018. (Trip to Paris originates from New York. Winner and guest are responsible for travel to New York). 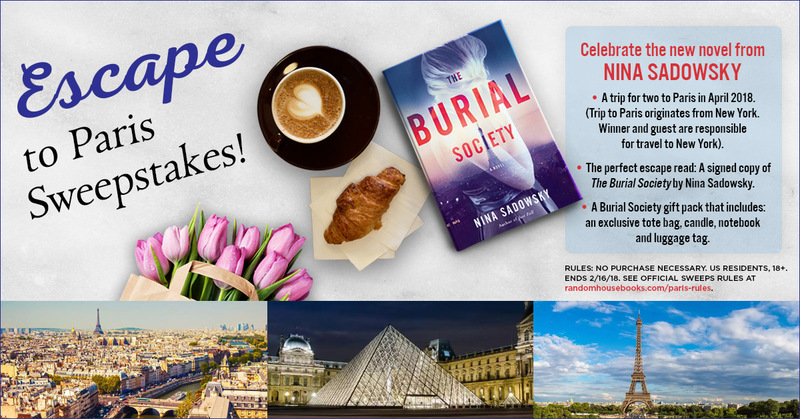 The perfect escape read: A signed copy of The Burial Society by Nina Sadowsky. A Burial Society gift pack that includes: an exclusive tote bag, candle, notebook and luggage tag.